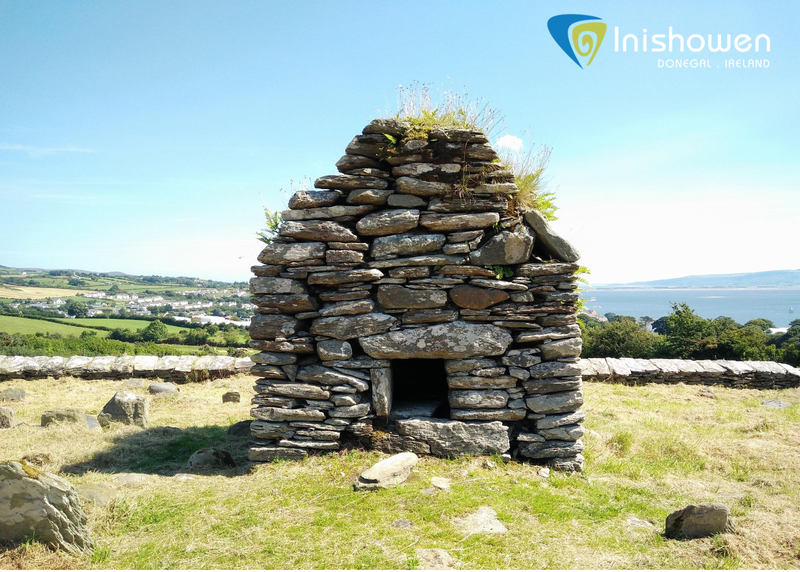 Inishowen is an ancient area that spans 1000s of years, visible archaeological monuments, that occupy the landscape testify to that fact. 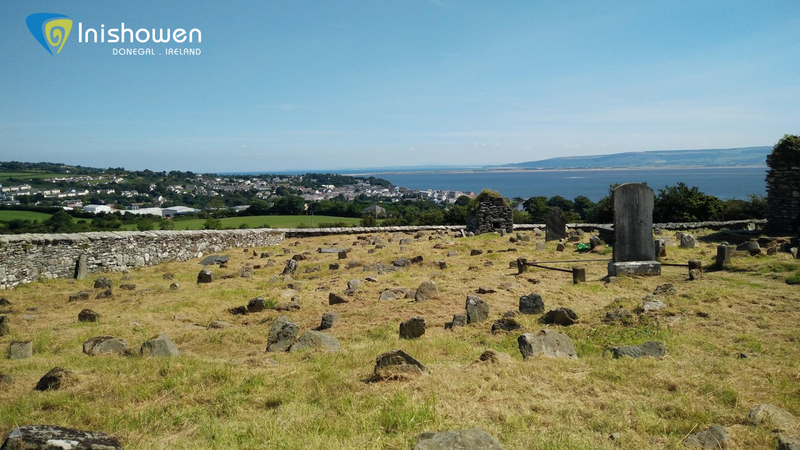 Yet recent discoveries at Cooley Moville, pictured above and Carndonagh have proven, that much more can be learnt about our ancient landscape and its important ecclesiastical past by looking beneath the surface. 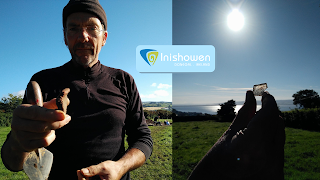 The Bernician Studies Group (BSG) based in the UK have been instrumental, alongside the Lands of Eogain Group formed in 2015, in increasing the profile of Inishowen as an area of important historical and archaeological significance. The BSG have visited Inishowen over the last five summers and within that time are responsible for locating the existence of four double precincts (boundaries) of monasteries located at Cloncha, Carrowmore, Cooley and now Carndonagh. 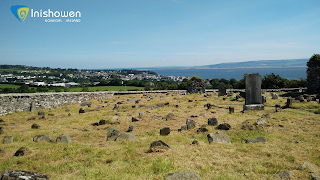 Cooley is an area representative of an important ecclesiastical site which, as you can see above, overlooks Moville Town and the expanse of the Lough Foyle. In a field behind Cooley Graveyard, the BSG, based on a previous Geophysical Survey, carried out a small excavation through a section of the identified boundary ditch. You can see the team, pictured above, alongside local archaeologists and undergraduate students from Newcastle University, excavating in a 3 metre test trench. Some of the finds pictured below include; metal, glass (to the right) and possible Souterrain Ware pictured on the left below. Max Adams, Excavation Director at the site, stated this indicates possible industrial activity such as Iron working as "early monasteries were centres of fine liturgical craftsmanship". Another promising find was evidence of a palisade trench, only further excavation will allow us to learn much more about this complex and ancient site. Located in the field opposite Donagh Church in Carndonagh Jack Pennie and Geoff Taylor from the BSG carried out a geophysical survey. The survey identified a double ditched boundary that captures within it the stunning Marigold High Cross. You can see the type of geophysical survey work called Magnetometry carried out below. Magnetometry is a technique used to measure and map patterns of magnetism in the soil. As you can see below this is a non intrusive technique. The Lands of Eogain Group was established in 2015 with the aim to develop heritage in Inishowen by collaborating with local and international heritage groups. 2016 marked the second successful Lands of Eogain Festival. 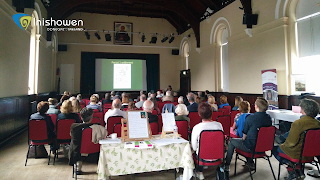 The event drew academics from Ireland, England and Scotland to Inishowen to discuss the strong links between the peninsula to other ecclesiastical sites in the above areas. As you can see below the festival generated a lot of interest and support from local archaeologists, historians and communities throughout the Inishowen Peninsula. Each year the BSG, in a voluntary capacity, have made significant discoveries, despite a lack of funds available to carry out archaeological research. 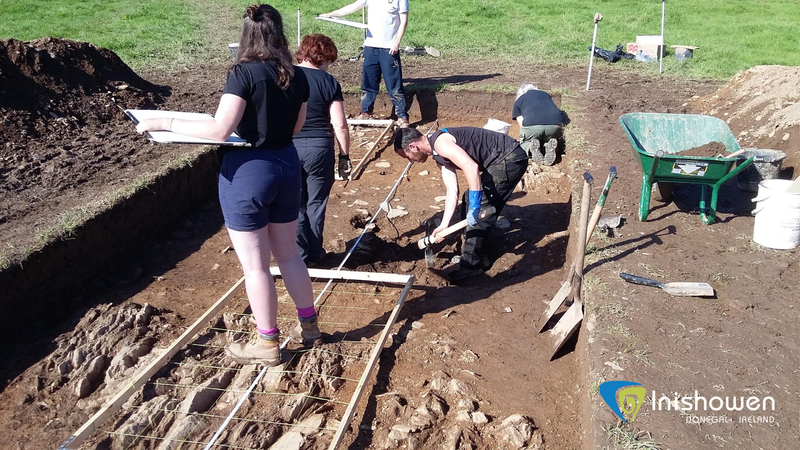 Due to the efforts of, the BSG, The Lands of Eogain Group and continued support of local communities, I have no doubt this will be the first of many articles relating to new archaeological finds in the peninsula.